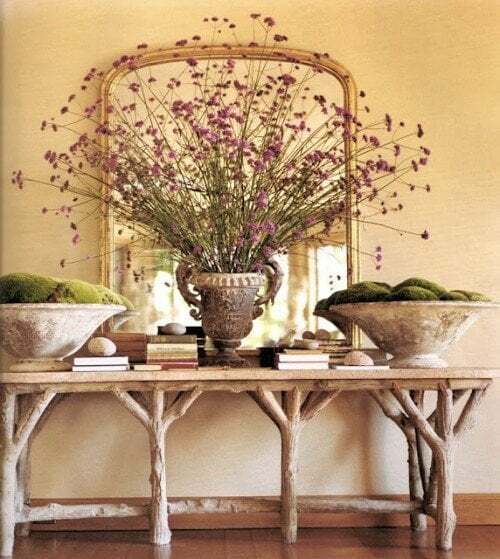 Adding natural moss to table centerpieces is a fast way of creating great table decorations. And it looks spectacular! These small plants love shady locations which means they are perfect table decorations, side table and coffee table decor for any part of the home. Because they can grow anywhere in your house, and don't flower or seed - which means no mess, they are a natural backdrop to any decoration ideas you may have. Here's a great video on how to create words using moss. Its more art than graffiti - its not instant but it won't be long before you have the words love or grow on a wall or plank. Shelterness have 25 Cool Ideas To Decorate Your Home With Moss which include new and classic table centerpieces, dining table decorations, coffee table decor and other decoration ideas to use moss around your home. Add texture to your decor. As long as you remember to moisten them once a week your moss will be live table centerpieces for years. The Shelterness article shows impressive images using moss as table centerpieces, table decorations and coffee table decor for all occasions and so many other decoration ideas. They even have a tutorial that will help to fresh it up. 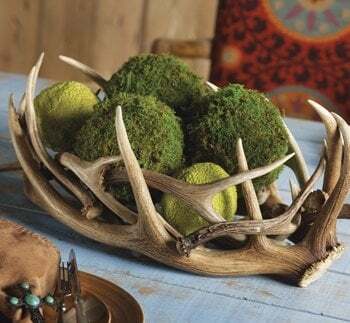 Moss is perfect for table settings, coffee table decor, side table decorations and even wedding table decoration ideas but don't stop there. Because it is a low growing plant and has a great texture it looks good alongside almost any other decor and in any pot. Please leave a comment below or share. Join our email list to get lots of free tips and our DIY Cheat Sheet.